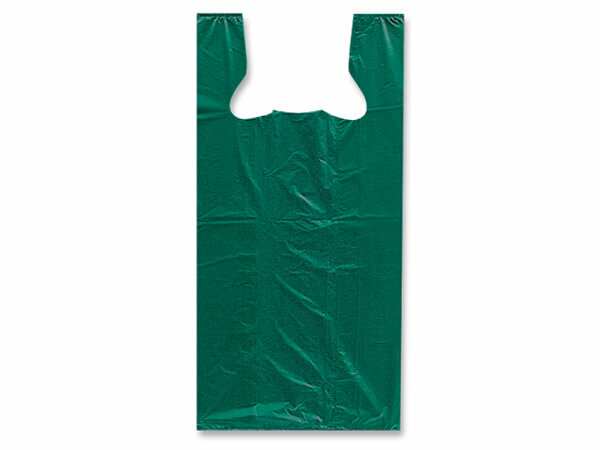 Large size Green 100% Recycled Plastic T-Sacks by the carton. Made from 100% Recycled HDPE. Made in USA. Green Way ® Eco-Friendly Packaging.